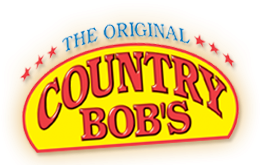 Register at Country Bobs and they will send you a coupon for a free bottle of their original All Purpose Sauce redeemable at a retailer near you. All registrations will be kept confidential and not sold or shared. * One (1) coupon per household, with address verifyed by the US Postal Service. * Only those living in areas where product is available will be sent a coupon. I LOVE Country Bob's sauces....they are YUMMY! Use this store locator to find a location near you!! If I had this sauce on hand, I would SLATHER these over some ribs, pop those in the oven, and cook them real slow. This is what I did the last time I had this sauce. Let me tell you what....they were amazing!!!! But, since I don't have any sauce or ribs on hand, but I do have TONS of stockpiled ground beef, I'm thinking that it is the PERFECT time to "fire up the ol' stove" and make something yummy. I'm thinking soup...Cheeseburger Soup....Doesn't that sound good? I don't have a "formal" recipe for my soup, but this is how I am going to make it. I'll tweak it as I go along, because that is pretty much how I cook! Cook the potatoes until done. Meanwhile, brown 1or 2 lbs hamburger (we like lots of hamburger) and drain off the grease. Add the hamburger to the stock pan and heat. Then, since I can't stand making a roux (yuck! ), I am going to thicken my soup with instant potato flakes. I know...sounds strange, but it works! The final step will be to add about 8-16 oz. of American/Velveeta cheese. Sometimes I also stir in about 1/2-3/4 cup sour cream, but I don't have any of that on hand. I'll let you know how this turns out, and if it is a success, I'll post a pic of it! Oh yumm... I've got print this one off. The blog looks great!!! I love the new look.